Facebook's official native iPad application, rumored to be released soon, has been discovered hidden inside of the currently available iPhone-only software on the App Store. Calling the pre-release software "very good," TechCrunch offered a look at the iPad application hidden within the iPhone software on Monday. The concealed software was discovered and its iPad-compatible mode was enabled by making slight modifications. Author MG Siegler said he's unsure if the hidden software is the version that will actually ship for the iPad, but he has reason to believe it is "at least very close" to the final product. Most of it is said to be written in HTML5. "Unlike the iPhone app —which even its creator is complaining about now as being stale —the Facebook iPad app uses a left-side menu system that can be accessed by the touch of a button or the flick of the iPad screen," he wrote. 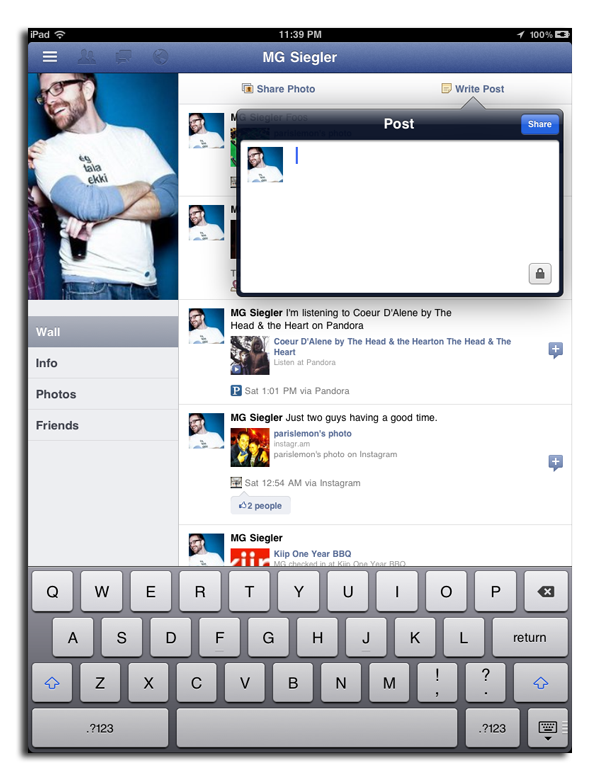 "The app also makes great use of the pop-overs (overlay menus) found in other iPad apps. When you flip the iPad horizontally, the list of your online friends appears and you can chat with them as you do other things on Facebook." The native iPad application was revealed through a minor update to the iPhone application, version 3.4.4, that was issued this week. The update was originally characterized as featuring a handful of bug fixes. Earlier this month, Facebook announced it had partnered with Skype to bring video calling to the social networking service. During that presentation, Chief Executive Mark Zuckerberg promised his company would launch more products in the coming weeks and months, and referred to the period as Facebook's "launching season" of 2011. In June, The New York Times reported that Facebook was set to launch an official iPad application on Apple's App Store in "coming weeks." The software was said to feature a "slick design" tailored for the multi-touch interface of the iPad, including overhauled Facebook Chat and Groups features, and also allowing the ability to shoot and upload photos and videos. Facebook is also said to be at work on a secret HTML5-based Web application platform dubbed "Project Spartan." 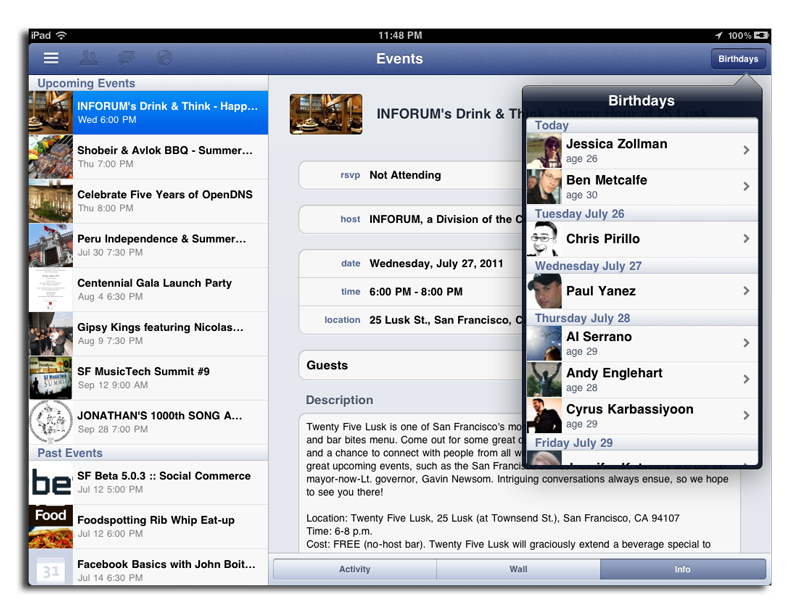 One rumor from June claimed that Apple has been helping Facebook to the development of the project.